The best time to start cycling to work is when the weather is warm. I started cycling to work last year in July as the company I worked for moved office and this new office was more than just a walk from my home. So I decided to start cycling to work, to save time and money and to keep healthy of course (we all know cycling is good for your health, I hope?!). I wasn’t going to continue cycling in winter but somehow I just stuck to it. I really got used to it. This was my new routine and if I didn’t cycle to work one day I would miss it. Before I knew it 10 months passed and wow, who knew I would be doing it for so long! Ok, maybe I didn’t cycle to work every single day. There were days with really bad rain and winds and I had to take a bus. In total, over time my bus journeys equated to maybe 4 weeks. It’s a shame my cycling to work had to end last month when I left my job and started working from home. I actually do miss it now. If you are thinking of trying something different to keep fit, then I could not recommend cycling enough (well, because I love it of course). If your work is less than 6 miles away from your home, then you should definitely consider cycling. My journey was almost 5 miles long and it normally took around 25 minutes. I think it could easily take that much time driving a car to work when the traffic is bad so cycling is not a bad idea in that case. I recommend you study your cycling route in detail and give it a go at the weekend. See which route is the best to take to feel safer and remember it for your morning commute. Sketch it out if needed. 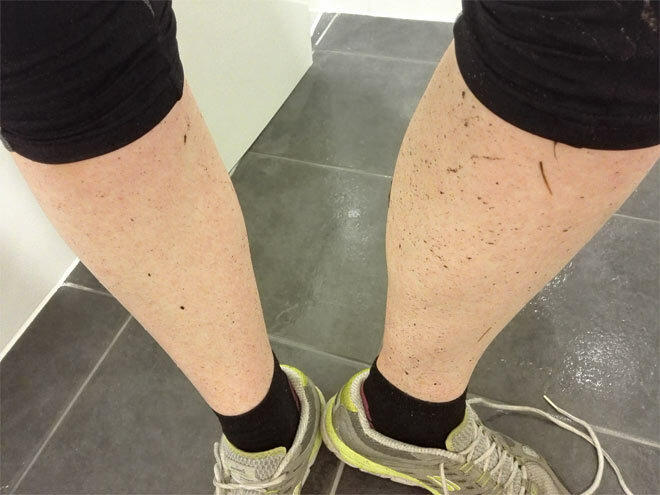 If you think you should buy yourself some expensive Lycra to get started, forget about that! You really don’t need expensive cycling clothes to start cycling to work. Check what you have first. Do you have some gym tights/leggings? What about comfortable casual clothes? Anything comfortable and decent-looking will do to get started. I started with what I had: some gym leggings, cycling tights, a couple of Lycra cycling t-shirts and just normal trainers. While I love cycling I don’t have extensive cycling wardrobe but saying that I did expand my cycling wardrobe before winter as I had to get ready for colder mornings. 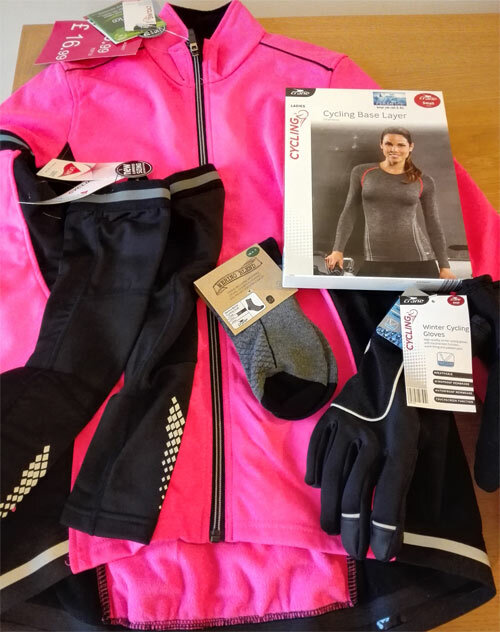 If you feel you need some new clothes especially for cycling, then I would recommend you check Aldi. I got myself quite a lot of stuff from there and the quality is not bad. The winter cycling jacket I bought from there was great and it’s still usable for the next winter. If you don’t mind spending slightly more money for your cycling clothes then I recommend Wiggle.com. 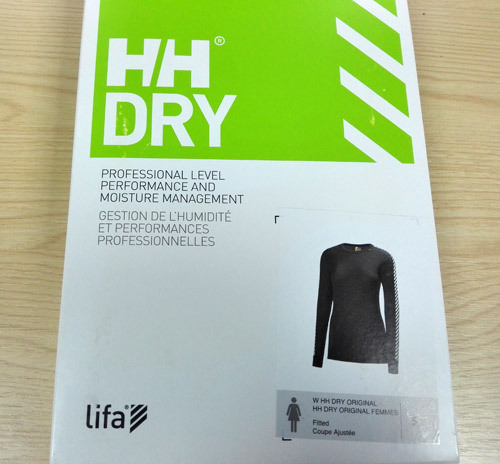 I bought myself Helly Hansen base layer from there and I loved it. This base layer is really warm and comfy and you can use it for any outdoor activities. What I’ve learnt about cycling clothes: You don’t need to buy expensive cycling clothes to get started. Use what you have. For budget buys check Aldi. In the UK people complain that they cannot do any outdoor activities because the weather is bad. I think that’s just an excuse. When I started cycling I thought that I won’t be able to do it often because of the weather. But I was wrong. Most of the time the weather wasn’t that bad. It was often cloudy but no rain. Sometimes there was a bit of drizzle but it did not stop me from cycling. Storms and torrential rain is something different. I would never cycle when the weather was really bad. I relied on weather forecast a lot. Maybe too much. I would check the weather forecast in the evening before going to bed and then in the morning. Sometimes it was very clear that the weather would be good but sometimes it wasn’t. It wasn’t clear whether it was going to rain in the morning or not and whether it was going to rain at 5pm when I finish work or not. Caught in the rain in the morning. Wet wipes were very useful before changing into my work clothes! What I’ve learnt about the weather: Never trust the weather forecast by hour. Expect the rain to come earlier or later than when it was forecasted for. Be prepared for that rain and pack your waterproofs. I love my bike. It’s a really fast hybrid bike that I have. But not perfect. 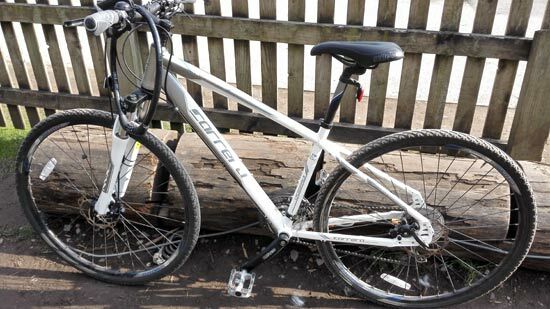 Before I bought it I was determined to buy a bike with disc brakes. I thought it was something cool to have, something modern and something that would last longer than rim brakes. Yes, they are some advantages of having disc brakes but also some disadvantages. Unfortunately, disc brakes on my Carrera bike caused me some issues – there was a noise coming from them which I couldn’t get rid of even by re-aligning the wheel. At the end I managed to sort it out but I still have a problem when I need to change the inner tube. It’s not easy to align the wheel so that the disc brake doesn’t rub and make noise. It could be that this is more of an issue on this particular Carrera model though. At the end I came to a conclusion that disc brakes seem to be more of a pain than anything and for that reason I am not going to buy another bike with them again. Another thing that I’ve learnt about my bike was when I had a puncture. Taking the tyre off the wheel was a big struggle. Replacing an inner tube may seem easy on this video from Halfords but my bike has different types of tyres and the wheel is quite narrow. I had to find my own way of taking the tyre off the wheel as following that video definitely didn’t work! I figured it out at the end but it’s not an easy job. I also learnt to be extra careful when putting the tyre back on as you can damage the inner tube with the lever if you are not careful (it happened to me once!). This big thorn was stuck in my tyre and when I pulled it out in the morning my tyre went flat straight away. A lesson learnt: Check tyres before going to bed! What I’ve learnt about my bike: While disc brakes are cool they are not practical when you have to replace the inner tube. Changing an inner tube is not easy on my bike due to the type of tyres and the wheel type. If you are going to be cycling to work every single day you have to be prepared. Always carry a spare inner tube with you with all the necessary tools, including a mini pump. It’s funny but in the beginning I didn’t carry a spare inner tube with me. Luckily, I didn’t get a puncture at that time! But you have to accept it, punctures do happen so be prepared and always carry all the necessary tools. It’s very useful to carry tweezers with you as thorns and sharp objects can be difficult to pull out without them. Another thing to keep in mind is rain. Rain is pretty common in the UK so always carry some waterproof clothing with you. What I’ve learnt about cycling essentials: Never leave a house without a spare inner tube, essential tools, a mini pump and some waterproof clothing. Cycling on British roads is definitely not easy! Lots of drivers go very fast and have little tolerance for cyclists. Many times they overtake you with not much distance to spare between you and the car. It’s definitely not pleasant and quite scary. You could be quickly knocked over and injured by a speeding car and although you could always claim for your injuries, I don’t think it’s worth the stress and the hassle. For this reason I always look for ways to avoid really busy roads and try and create cycling routes which would minimise the risk for me. 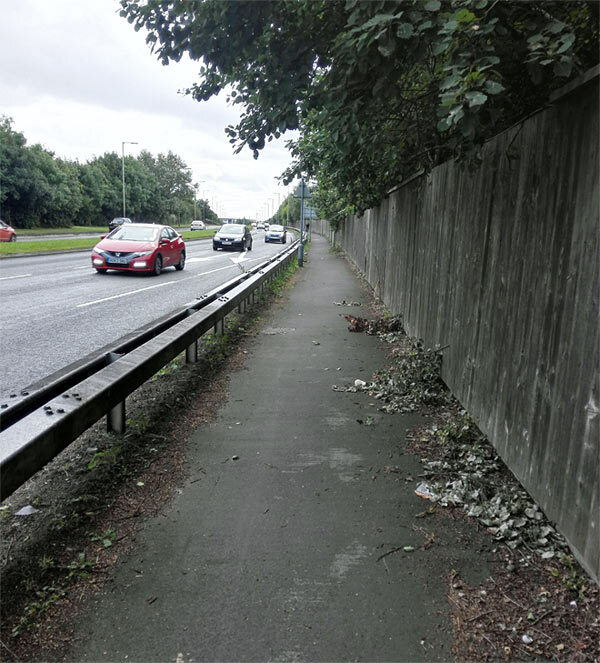 So before I started cycling to work I tested the route at the weekend and found the safest option for me. I recommend you do the same. Unfortunately, no matter how safe your route may seem, you still have to cross the roundabouts and roads. I learnt that most of the drivers don’t indicate so you don’t know where they are going. If you are not sure whether they are going your way, don’t risk it and just wait. It’s really frustrating that drivers don’t indicate but not much you can do about it. Just be extra careful, always wait when in doubt and look at the direction of their wheels to help you decide. What I’ve learnt about cars: Drivers don’t indicate and for that reason you have to be extra careful when crossing the road or a roundabout. Don’t risk it if you are not sure of their direction. It’s better to wait than be sorry. So there you have it, some of the things that I’ve learnt when cycling to work. I hope you find my lessons and tips useful. Would you cycle to your work?